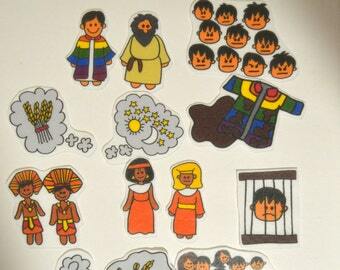 This is a great educational and fun set for you little one to learn about Moses and his stories in the Bible! 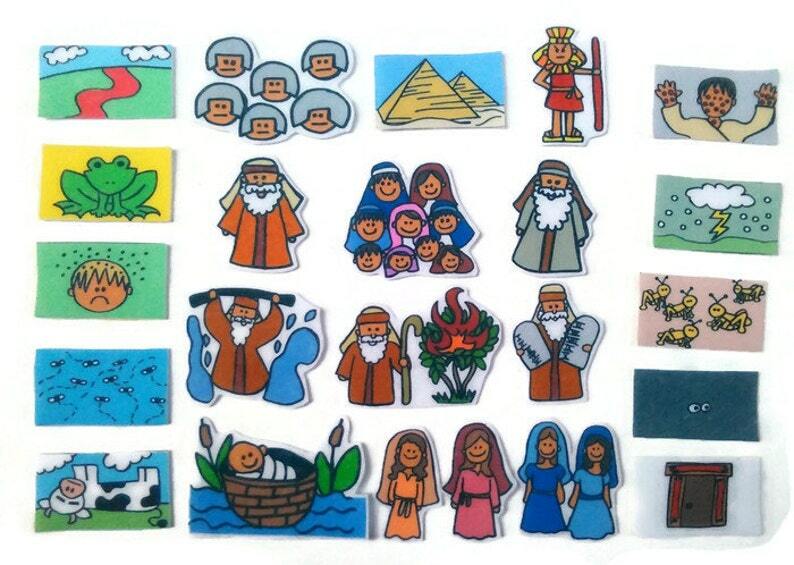 This set includes the 10 plagues (water into blood, frogs, lice, flies, diseased livestock, boils, thunder and hail, locusts, darkness, and death of the firstborn), a group of Israelites, a group of Egyptians, Moses, Aaron, the Pharoah, baby Moses in his basket, Moses with the burning bush, Moses parting the Red Sea, and Moses and the 10 Commandments. *Newly added: Jochebed, the midwives, and Miriam. 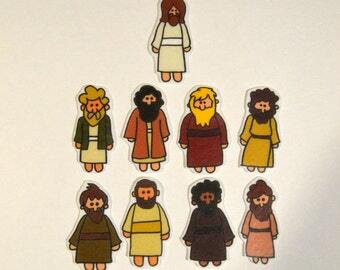 In the regular size set the plagues are 1.25 x 2.25 inches and Moses is about 2 inches tall. The regular size set is perfect for small/medium felt boards. But if you are looking for larger pieces for a bigger board or large group, the extra large set is about 4 inches. These pieces are made of felt and will stick to felt or flannel.